Well, it has been about a year since I have written a blog post. I apologize for leaving without notice, but when you get threatened with a law suit because of something you have written, it takes the wind out of your sail. A few years ago I wrote a post about how names for certain items have changed over the years. For example, no one ever says “pocketbook” anymore. I haven’t heard anyone use the word, “dungarees” in a long time either. And that was what my blog post was about. I also mentioned “peddle pushers” and how they are called something else now…(afraid to even mention the word). Since you are misrepresenting inaccurate historical facts about the inventor, **********, and the invention of the ***** which also includes a trademark violation, we ask you kindly to Email us your address. Well, needless to say, this email took my breath away. I was going to be sued for what? I didn’t use a photo that didn’t belong to me in this blog post, and only mentioned that another designer started selling these types of pants in his boutique during the 1940’s. The designer, who is in his/her 90’s right now, must have had a case of sour grapes because I did not mention him/her as the inventor of these types of pants, and as a result of said omission, sent me this email. As I read through the blog post for the tenth time, I realized I did nothing wrong at all. I immediately googled this person’s name and saw where he/she also wrote on other people’s blogs to kindly remove the inaccurate statements or else. I then realized it was a case of sour grapes. I am sure it would tend to get old when another designer gets credit for something you designed. I apologize if you feel I was misrepresenting historical facts about the inventor, **********, and the invention of the ******. Please note that I never mentioned (his/her) name, and only stated that (the other designer) “introduced” the **** pants in his boutique. I never said he invented them. There is no trademark violation. Although I did nothing wrong, I removed the blog post. Although I then knew I did not violate anything except creating more anguish for an elderly person who never really got the kudos deserved, I decided to mark Jumping in Mud Puddles private until I could calm down a bit. I then began reading where bloggers were being sued or charged for using photos without permission. Oh, that’s just great. A lot bloggers use photos found on the internet. I personally try to give credit to the photographer, but evidently, that isn’t good enough. Several bloggers have been sued for as much as $8,000 for using a photo. I also used photos from Wikipedia, with credit given, but that is not always full proof either. So, I decided to go through each blog post and delete photos unless they were my own. Needless, to say, it has taken a very long time as I have other irons in the fire. But, I’m back…sort of. I hope to pick up and continue writing as much as I can. I still have many blog posts marked private because I want to read every sentence of every blog post….. just in case. I am now only using my own photos. This editing process has been long and quite boring, and there were months were I didn’t edit at all, so please excuse my inconsistency for a while. 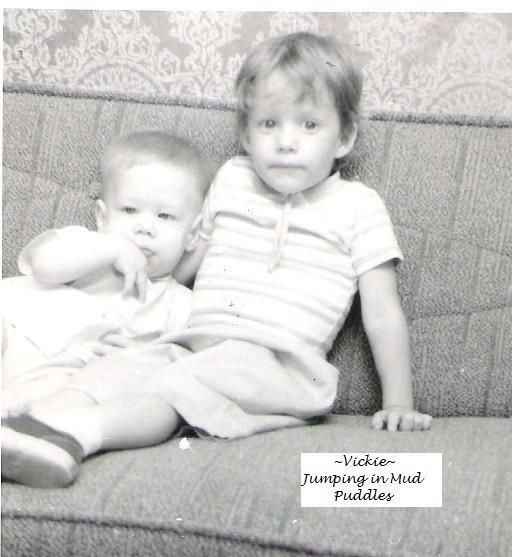 I recently found a picture of my roommate and great friend, Jeri, and myself that was taken in 1976. Or maybe 1977. We were either at the beach or we had just come home. Our faces were peeling and we looked quite ugly. So, what do you do when you are looking ugly? Of course, you put “scarf on head” and head to the mall. We headed right to the photo booth to capture our beauty for all to see. We looked like lepers. I bet neither of us knew that 30+ years later, one of us would be posting our mugs on facebook. The “scarf on head” look was very popular on our college campus during the 1970’s. I’m pretty sure that it was like that everywhere. We didn’t wear silky scarves. That would have been silly. And we didn’t tie them in front like a babushka. That was saved for Russian women and Queen Elizabeth.